Not known as a poet, but (where she’s remembered) as an actress, Catherine Raftor Clive (1711-85) nonetheless did write verse burlesques and some of the mocking epilogues she was once famous for speaking. Like her polemics on her own behalf, and some of the memoirs of other actresses of the 18th century, some of these were said to be by “anonymous” [men], or rewritten by an “anonymous” [male]. Not so, or at least I do not believe this. In “the case of Catherine Clive” I certainly hear her voice, and the stance is unmistakably one only she as the person cheated, stigmatized, snubbed, would write; it’s also uncannily like like teachers today defending themselves against public demands they should take less money and knuckle under to unjust monopolies and bad treatment (for the same kind of envy was manipulated by the stage managers, claiming they had a “deficit” and couldn’t afford to pay these supposed extravagant wages). Among those attributed to her is the burlesque Rehearsal, 1753, performed as a benefit for her (meaning she took the profits after overhead had been accounted for). EPILOGUE written by a Friend , spoken by Mrs. CLIVE. A very pretty Bill,—as I’m alive! The Part of—Nobody—by Mrs. Clive ! He’ll say perhaps—he thought I could not spout . Malice and Envy to the last Degree! And why?—I wrote a Farce as well as He. O Pit—have Pity—see how I’m dismay’d! Unless, like Bay’s, he brings his Hangman too. T’have thrown his Weeds aside, and learn’t with me to laugh. A spouting Junto of the Female Kind. And fain would fill the fair Ophelia’s Place. Presumes on something— touching the Lord Hamlet . Acts Lady Townly—thus—in all her Glory. The Hotspurs, Romeos, Hamlets, and Othellos. Am scolding here from Morning until Night. A Shop with Virtue, is the Height of Bliss. This is not attributed to Catherine Clive, but prefaced a private performance we apparently know nothing about, only that this prologue survives and was published in one of several miscellanies of prologues and epilogues popularly read from the Restoration to the end of the 18th century. It is now attributed to Garrick, on what authority I know not. Enter in a black coat, closely buttoned. A prologue upon epilogues compose. A trivial jest must make the pleasure less. And Quibble dry the sentimental tear. The purpose of the well-wrought piece defeat. Be ev’ry mental faculty unchain’d. Then lets assert the freedom of the mind. I like the complicated thought and assertion on behalf of liberty; also the insightful critique of how epilogues relate to the two genres of plays and the conventions of epilogues. The text is not in ECCO; it’s reprinted in “Garrick’s Unpublished Epilogue for Cathering Clive’s The Rehearsal; or, Bayes In Petticoats by Matthew J Kinservik, Études Anglaises, 49:3, (1996):320-26. There is no modern biography in print. These distort her but they do so in 18th century ways. A dissertation by Patrick J. Crean, “The life and Times of Kitty Clive” (1933, University of London) is said to be accurate and full, and perhaps I’ll buy a copy. In the meantime a slender volume, The Life of Mrs Catherine Clive, by Percy Fitzgerald is touching brief account, very affectionate for the most part, and as far as I can tell (from comparison with the ODNB article which I quote from below) accurate. Percy lists the known works of Clive thus: “light productions, pamphlets, controversial letters, and a few “pieces of occasion. Among these were “Bayes in Petticoats,” “Every women in her petticoats” (already described), “Sketch of a Fine Lady’s returning from a Rout,” “Island of Slaves.” The reader should consult A Biographical Dictionary of Actors, Actresses, Musicians, Dancers, Managers and Other Stage Personnel in London, 1660–1800: v. 2, edd. Highfell, Burnim and Langhan. A chapter in Felicity Nussbaum’s Rival Queens: Actresses, Performances, and the Eighteenth-Century British Theatre contains a lot of information, other articles, but is a strong polemic which might be distorting Clive. Anyone reading this blog who would like to cite an article or book I have not, I’d be grateful; I’d read it and improve this blog (no blog is engraved in cement). Since I really cannot better it and there seem to be so few undistorted sources with which to work, I’m gong to take the unusual step of quoting parts of a published article for the little life that usually accompanies these. A real problem in discussing actresses of the earlier century and are own era is how they are distorted by the media which presents them. The process I’ve learned is called specularization (from speculum, Latin for mirror). A definition I was offered by a friend “specularization refers to the process whereby the nature of an observer’s gaze shapes and defines what he or she looks at, thereby determining the discourse that ensues.” Actresses were seen as prostitutes and degraded and demeaned by the way they were presented, or, in an effort to elude this pornification, they are nowadays presented as somehow powerful and successful in ways they could not be. To avoid this I’ve decided simply to quote from the ODNB article. I’ve omitted all paragraphs and details which from what I’ve read seem to distort Clive. In 1728, “A friend of Jane Johnson, the first wife of Theophilus Cibber, Kitty was introduced to both Cibber and Chetwood. They, in turn, impressed with her ‘infinite Spirits, with a Voice and Manner in singing Songs of Pleasantry peculiar to herself’ (Chetwood, 127), recommended her to Colley Cibber, who added her to his list of performers at Drury Lane. 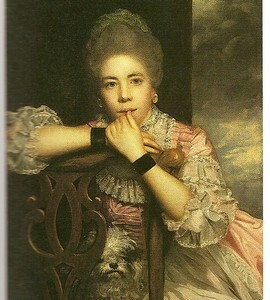 Chetwood indicates that she had a few minor appearances in the spring of 1728, but once the full 1728–9 season opened she began appearing regularly in increasingly large and important roles. Throughout that season and those that followed she moved from supporting roles in tragedy to singing in afterpieces and playing the first-ranking characters in the farces popular in the period. adaptation of Molière’s The Miser. In the summer of 1732 she was given the most sought-after female role in musical comedy, Polly in John Gay’s The Beggar’s Opera, and received a tribute to her portrayal from the Daily Journal, which called her the ‘Darling of the Age’ (25 July 1732). 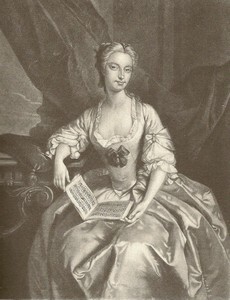 During the rebellion of the players in 1733, Kitty remained with John Highmore’s company at Drury Lane . . . Henry Fielding, who also remained loyal to Drury Lane, praised her acting talents and the alternative view of her character. In his preface to The Intriguing Chambermaid (1734), in which she played the title role, he compliments her as ‘the best Wife, the best Daughter, the best Sister, and the best Friend’ (Fielding) . . . Her best roles were particular comic types: the silly country miss, the wiser and more fashionable version of the same, and the pert and resourceful servant. These remained her strong suit for much of her career. she appeared as Mrs Clive in the bills for the first time in October 1733.
during the summer, when she would not have been performing regularly. Although Clive herself did not contribute to the pamphlet war during the theatrical rebellion of 1733, in 1736 she had reason to believe that the acting manager, Theophilus Cibber, was trying to claim some of her roles for his second wife, Susannah. Clive published her side of the controversy in the press in order to defend her position on the stage. in 1745 . . . Although publicly Clive decried and apparently regretted bringing theatrical matters notoriety in the press, the lesson she learned during the Polly war served her well in 1744. After the failure of Charles Macklin and David Garrick to open a third theatre to break the monopoly held by the patentees, Clive found herself unemployed. Rather than relying on others to defend her position and livelihood, that October she printed a pamphlet, The Case of Mrs. Clive Submitted to the Publick, explaining her position and that of other performers. Particularly galling to her was the oss of her annual free benefit, a privilege she had held for nine years, and how she discovered her lack of a job—by finding other actresses listed in her roles in the bills. This ‘unprecedented Act of Injustice’ (The Case of Mrs. Clive, 14) did not allow her the time to find work in Dublin, where she had met with success during the summer of 1741. Following the publication of her pamphlet, Clive held a benefit concert at the Haymarket on 2 November by command of Frederick, prince of Wales, and Augusta, princess of Wales. The royal couple had commanded Clive’s benefits in the past, and their continued patronage of her expressed their personal dismay at the lord chamberlain’s ruling in favour of the patentees. Theophilus Cibber confirmed that the audience at the benefit had been a notable one, by describing the affair as having ‘many Persons of the first Distinction … in the Pit and Boxes’ (Cibber, 76). The manager, John Rich, no fool, recognized Clive’s drawing power, and rehired her the next month at Drury Lane, although not at the salary level she had previously attained. As in the Polly war, Clive found that humble approaches to the theatre-going public could push theatrical management to some semblance of civility towards players . . .
necessary, except for a skirmish with the actor Ned Shuter over benefit performances in 1761. She continued to shine in her best venue, the stage. She retained many of the parts that she had made famous, including Nell in The Devil to Pay, but moved out of *ingénue* roles into those more suited to her maturing voice and figure. Flora in Susanna Centlivre’s The Wonder, Mrs Cadwallader in Foote’s The Author, the Fine Lady in Garrick’s Lethe, and Lady Wishfort in William Congreve’s The Way of the World were typical of these later roles. Comedy remained her forte, but she also continued her facility in speaking prologues and epilogues. to supplement her income. She tried her hand at writing farces, which became a feature of her benefits. Her first, The Rehearsal, or, Bays in Petticoats, was first presented at her benefit in 1750. There were scattered additional performances, and it was eventually published in 1753. Clive wrote at least three more farces, Every Woman in her Humour, A Fine Lady’s Return from a Rout, and The Faithful Irishwoman, but none received even the limited fame that her first had done and none was published. the two seasons at Covent Garden (1743–5) she was loyal to Drury Lane. In 1768 Walpole mentioned to a friend that Clive was preparing to leave the stage, and the bill for her benefit in April 1769 advertised that it would be the ‘last time of her appearing on the Stage’ (Stone, 3.1401). She performed some of her favourite roles: Flora in The Wonder and the Fine Lady in Lethe. After more than forty successful years on the stage, Clive had earned enough to support herself comfortably in her retirement. In her published Case in 1744 she revealed that she had been making £300 annually, plus her benefit, which in her most successful years could almost double that salary—in 1750, for example, her benefit brought her just over £250. In 1765, in a letter to David Garrick, she commented that her salary remained £300 a year. Although much of her income would have gone to support her professional life (she spent considerable sums on singing lessons and appropriate clothes) she had evidently managed her money wisely. I used to do for my parts with the difference that I am losing money instead of getting some’ (Highfill, Burnim & Langhans, BDA). Her periods ofillness self-described jaundice—eventually grew more frequent, and after catching a chill at the funeral of Lieutenant-General Henry Lister, she died on 6 December 1785. She was buried in Twickenham churchyard on 14 December. 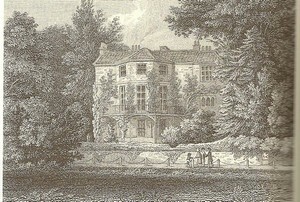 Horace Walpole dispersed her personal possessions among her friends and relatives. A while back I read an essay I’ve not forgotten. By an 18th century scholar, he argued from a stadist standpoint that taking a set of criteria over several centuries in the last 30 years women have had a bad set-back. One criteria is how available women are sexually to men; the more available they are (whether or not they say they want this), one sees a set of other criteria to show them losing ground (in the area of property and money-ownership, in the area of violence inflicted, in the area of babies had, more is a bad sign). So I take this outright demand for a return to unrestricted polygamy even if in a fanatic state to be significant. I’ve fallen behind in my weekly close-readings of Austen’s letters, partly because I’ve been reading and studying about 18th century actresses’ lives. I’m working towards a review of Felicity Nussbaum’s Rival Queens. One of her contentions is that we are over-emphasizing the association of Actress with Prostitute in the 18th century; I don’t think she can prove that case, but it does seem to me the 18th century was an era when women achieved a measure of liberty they had not before, at the same time as their turn to “sensibility” was a way of demanding control over their bodies. This is one of the rare paintings of actresses at the time which endows them with a quiet dignity and conveys something of an individual personality — here thoughtfulness — while in costume. I include a list of articles on Clive in the comments. In response to a comment by Arnie Perlstein off-blog: yes Catherine Clive married George Clive, a second cousin to the famous Robert Clive. They lived together only a short time. And of course this connects Catherine to Hastings who is connected to the Austens through Austen’s aunt, Philadelphia, and her cousin, Eliza. See Percy Fitzgerald’s still useful biography of Clive. The elite world of the eighteenth century was not large. So wrote a reviewer for the /Saturday Review/in 1856 of Caroline Clive’s /Paul Ferroll/(1855). But if readers and reviewers were almost unanimous in their praise of Clive’s novel as a nearly flawless work of art, many were troubled by what they saw as its questionable morality. “Nothing looks more peaceful and secure than a country house seen at early morning,” the novel begins. But behind that tranquil exterior is hidden a horrible crime: Paul Ferroll’s wife lies violently murdered in her bed. A servant is arrested and later acquitted for the crime, time moves on, and Ferroll eventually remarries. A respected magistrate, a gifted author, and a loving husband, Ferroll’s character nonetheless seems to have a dark side. Why does he shun the friendship of his neighbours, neglect his young daughter, and evince indifference when the villagers die during a cholera outbreak? Is his strange behaviour caused by remembrance of his first wife’s untimely death, or does there lie hidden a much darker secret? Hugely popular and influential in its time and recognised as the successor to /Jane Eyre/and the predecessor of the sensation novels of Mary Elizabeth Braddon,/Paul Ferroll/has suffered from an unfortunate neglect in the past century. This new edition features an introduction and notes by Adrienne E. Gavin as well as a chronology of Clive’s life and career and excerpts from contemporary reviews. “I’ve a fine book on Victorian novels & novelists: John Sutherland’s Stanford Companion and can report that: we are talking of Caroline Archer Clive (nee Meysey-Wigley, 1801-73). She is described as an “eccentric” (we have to watch out for such words as they are judgemental from a conventional standpoint) and “gifted novelist. Caroline Meysey-Wigley was the daughter of an English MP and born among the landed gentry in Worcestershire. As a child she was lamed by infantile paralysis and although no beauty (‘an ‘UgIy little cripple’ her biographer uncompromisingly calls her), she had a vivacious and tough personality. At the age of thirty-five she met the Rev. Archer Clive, a good-looking, wealthy and clever clergyman. In 1840, he proposed and was accepted. Despite everything [what everything? how dare the writer impugn her because she was disabled and not conventionally beautiful], the marriage was happy, and produced produced two children. Her husband was happy to turn squire, and the Clives lived comfortably at Whitfield, travelling quite extensively on the Continent. Clive had begun her authorial career writing poems which she published in 1840, under the pseudonym ‘V’. For her own delectation she filled thousands of sheets of paper with abstract ideas and snatches of dialogue and rough ideas for plots’ [Today she’d blog]. Great stir was caused by her first novel (published anonymously), Paul Ferroll* (1855). She had always liked horrific crime fiction, and in Ferroll produced the most unusual criminal hero for the Victorian period. He murders his wife, and escapes punishment to live happily with his new wife and daughter. (The fourth edition added a chapter bringing him to his death.) So successful was the story that a verbena was named after it. Clive followed up with a sequel, Why Paul Ferroll Killed His Wife (1860) which is moralistic and inferior and confusingly changes Ferroll’s name. Her last novel, John Greswold (1864), begins strikingly with a sudden death in a London gambling casino, but tails off badly with a hero gives up all worldly ambition at the age of twenty-three. Lack of story is the central weakness in Clive’s fiction. The novelist suffered a paralytic stroke in 1865 while travelling in France, and eight years later was burned to death in her study at Whitfield in Herefordshire when her clothes and books caught fire 3L 3. DNB. NeBEL. Wol. Sad. So her disability led to a paralytic stroke since science at the time could do so little; and then she burned to death probably because of it too. She seems to me a courageous woman writing out of repressed passions. Prologues and epilogues are a fascinating genre in their own right, and were seen so at the time. As Rivka probably knows, there are several multi-volume scholarly editions of prologues and epilogues. These were not always printed with the plays they prefaced or provided a coda for (and different prologues and epilogues accompanied the plays as often they were timely), so such volumes are very useful. ECCO makes available to us contemporary anthologies and collections. The result: one can really study these as a group or reach individual ones that “went with” plays fairly quickly. The one I sent was a meta-reflection on the genre, the conventions of epilogues themselves, and revealed aspects of how Catherine Clive was seen — she spoke it, and it was probably written for her. I was going into it — or these — to explore her character and as part of my foremother poet blogs. I have further to add some bibliography and lists of texts Clive wrote — perhaps later tonight — the great thing about cyberspace is nothing is in cement and one can endlessly go back and add, change, alter, erase :). Spoke by Mrs. CLIVE . Save us, good Heav’n! from this new Way of Wounding ! Has only, One of her Black-Guards , to summon ! And, that cold Treat , is all the Game she plays at! Poignard ‘s the Word !—and, the first Deal is— Dying ! If she will do’t, she Will :—and, there ‘s an End on’t. Fear is Affront : and Jealousy Injustice . As not to suffer :—All the Diff’rence—Name. Who, oft, Dines out , dislikes her own Cook’s Dressing . If you wou’d FIX th’ inconstant Wife—RESPECT her. Grow REALLY Such —to Merit your Esteeming. Just a short note to say how much I enjoyed reading an article you published concerning the above Catherine Clive. How fascinating! Here in Scotland I’m doing research into the life of the founding father of modern Tunstall (Staffordshire), John H. Clive, and have traced his place of abode to 17 Michaels Place, Brompton, London. This follows my discovery of a case full of archive papers relating to the famous Clive family which have been collecting dust for the last 200 years! There appears to be linkage between the above address and a former resident, (the actress Miss Pope) and another actress named Catherine Clive. Some reports state Catherine lived between 1711-1785 with reference to a different inscription for the date of death being 1758 when she was 75 years of age? I’m unclear as to whether this is a case of either date being wrong or two different actresses of the same era named Catherine Clive which seems unlikely? History records John Henry Clive being a descendant of the famous Lord Clive with 17 Michaels Place, Brompton having been the place of abode for J.H.Clive in 1853 leaving me wondering whether Catherine might have been his grandmother? Any thoughts or information you might have would be greatly appreciated. Thank you very much for contacting me. It’s gratifying when someone has read one of my articles on my blog and found it useful — and enjoyable. I would think it very unlikely that there were two actresses named Catherine Clive in this period. If someone had a simiar name, she would be likely to try to change it slightly to differentiate herself. The paragraph where I cite the printed sources that exist are centrally what I have to offer. I have a list of articles on Clive in the comments too. I remember being told while I was reading Clive that someone was working on her letters — such an edition if it came out would help.